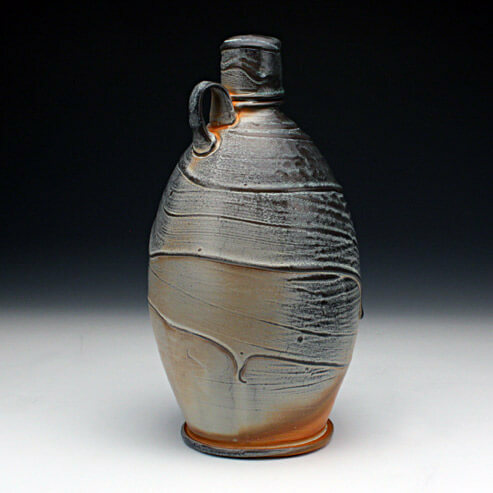 Currently running the Ceramics Department at the University of Mississippi (Ole Miss), Matt has become well known for his work with soda fired porcelain, work that is fluid in lines and luscious in surface and glaze applications. His work lends a softened sense of the dramatic to porcelain form. As a graduate of the Kansas City Art institute and possessing his MFA from Ohio University, he and his work have quickly become recognizable entities on the forefront of the ceramic art world. Possessing a charming sense of humor and kind manner, he has become a popular workshop instructor throughout this country. His work earned him the NCECA emerging artist award in 2000 along with many juried awards and purchases into prestigious permanent collections. He has been featured in every serious ceramic art publication including Ceramics Monthly, Studio Potter, Art and Perception and Clay Times. Matt was the first visiting artist at the Red Lodge Clay Center. In October 2006, he headed the construction of our first kiln, designed especially for soda firing.